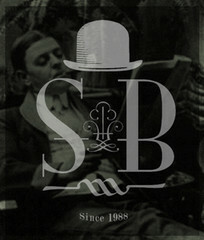 SHELDON BLACK DESIGNS ® specializes in the development and production of technically based, premium, hand blown smokeware. Our family of master glassblowers serves to enhance smoker pleasure by creating innovative pipe forms that are specifically designed to enhance the character of the finest smoke. We offer clients an all-inclusive product line with our highly sought after bubbler collection, unique limited edition artist collaborations, and an ambitious glass tube line which has redeveloped the standard for pipe design throughout the industry. American Made!